It’s an exciting time to be you right now. You are looking at your future with an open mind and endless possibilities. You are open to where you will go, what you can do, and who you will become. There have never been so many opportunities in front of you as there are today. The best thing you can do is put yourself in a place where you’ll be exposed to as many choices as possible. 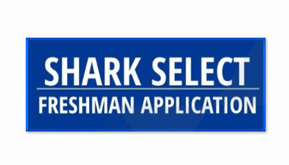 At Nova Southeastern University, options are what we’re all about.